Got an email today from integrity, so I wanted to share with you guys. I think this is super cool. Here the link to the site and more info. Oo it took them long enough! I'm enjoying these and they're exactly the ones I was expecting them to have. I have dot and bette from season four! They were not customized by me. Coven? Really? I would have preferred Freak Show, but I probably can't afford any of the dolls anyways. Although I am digging Myrtle from this group. Here a retailer that sells them. 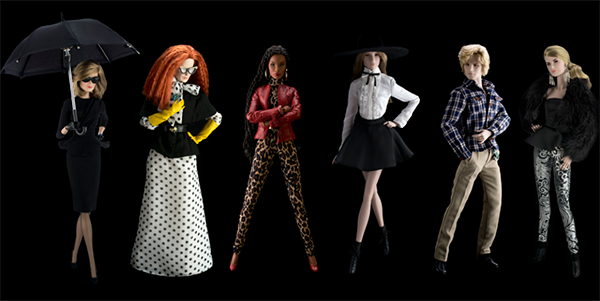 https://fabricfriendsdolls.com/index.php?main_page=index&cPath=... Pricey but these dolls are on the high end side. I agree ScaryAnn I too would preferred a freak show line but knowing integrity they went for the more regularly dressed characters as opposes to the more macabre look. Fits in with all their dolls. Omg yes! I live for AHS. I think the Zoe doll is my favourite out of the set, but I love the look of Fiona as well. I would've liked a mix of the seasons though. I know Integrity try to do more of a 'fashion' angle but I'd love to see a Sister Jude with the nun's habit. And they have to do a Countess doll as well. It's a pity I can't afford one. Integrity always have their dolls at big prices. Ive only seen 2 seasons, Freak Show and Hotel. I would have loved to see a Freak Show line. wow they look really nice, gonna be expensive though, I like Marie Laveau what a beauty, I haven't seen that series though so I don't actually know a lot about them, would have loved to seen Hotel, spoil us with another Gaga lol, but due to the price and availability I won't be buying. Too bad they didn't make Cordelia. Especially a version with her gauged out eyes. Would have been awesome. I totally agree with you. They could have came with two different heads, like the Jem Clash doll had three different heads.